A group of Pulcini made of transparent glass decorated with murrine and multicolored rods. 2001, Milan, Murano: Vetri dalla Collezione Olnick Spanu, Spazio Oberdan. A. Dorigato, 2002, p. 333. Born in Venice, Alessandro Pianon attended the Architecture School in Venice and used his talents to become an architect and designer. He was hired by the Vetreria Vistosi in 1956 to design the company logo and ended up designing numerous collections of glass. In 1962 he started his own design studio and worked for many companies, including Lumenform. The descendant of a family who had been Murano glassmakers for hundreds of years, Guglielmo Vistosi opened the Vistosi furnace in 1945 to produce glass components for lighting. After his death in 1952, the direction of the company was taken over by his brother Oreste and his nephews Gino and Luciano. They carried on the line of production, serving as designers as well. 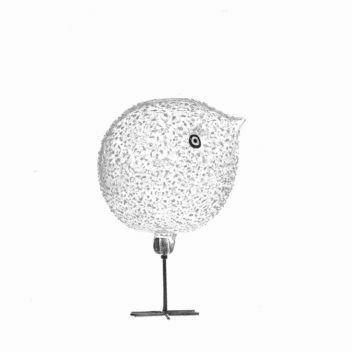 Vistosi also sought the collaboration of many independent artists and professionals such as Alessandro Pianon, Peter Pelzel, and Fulvio Bianconi. During the '60s, the company, successful for its essential forms and the sobriety of its colors, received many awards. 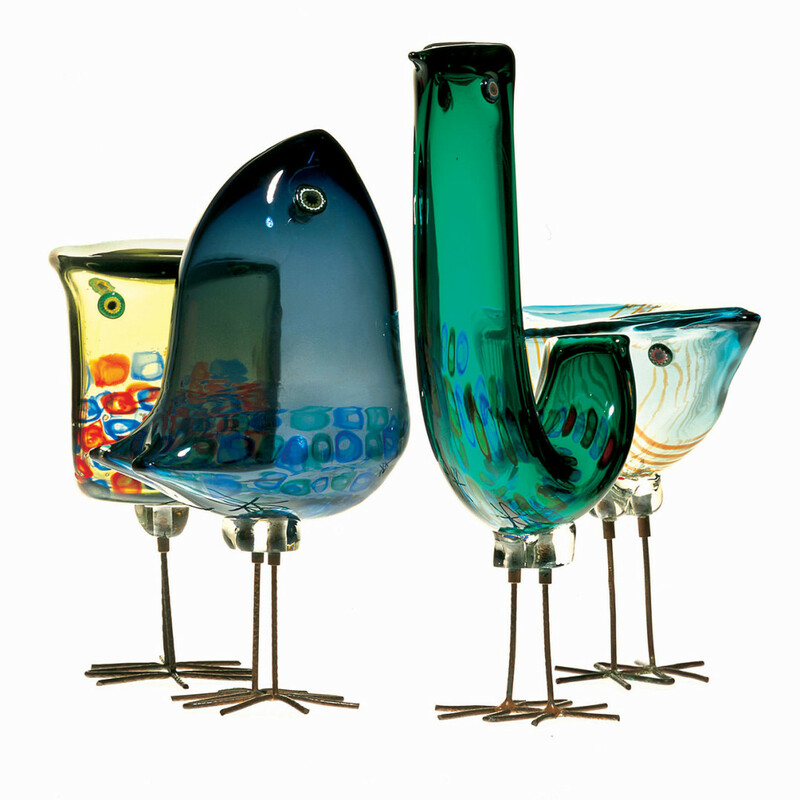 During the following decade, its pieces were designed by Angelo Mangiarotti, Enrico Capuzzo, Gae Aulenti, Vico Magistretti, Elenore Peduzzi Riva, and Ettore Sottsass Jr. After the company's change of ownership, the furnace produced glass components for lighting until it was closed in the early '90s. Two fazzoletti(handkerchiefs) vases. 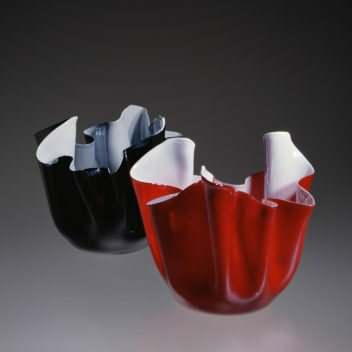 One composed of lattimo glassincamiciato in black glass; the other is in lattimo glassincamiciato in red glass with a slightly iridized surface. Olnick Spanu, 2001, n. 13. Fulvio Bianconi was a graphic artist, caricaturist, and designer. Born in Padua, he attended the Istituto d'Arte and the Accademia di Belle Arti in Venice. 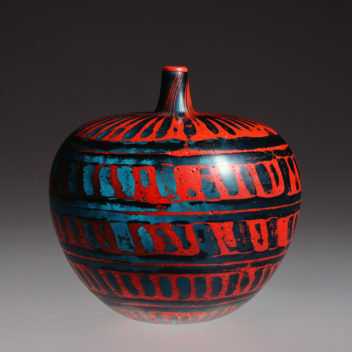 He first encountered glass at age fifteen when he studied decoration with enamels under the guidance of Michele Pinto. During the late '30s, he worked as a caricaturist, graphic artist, and illustrator for various publishing houses such as Mondadori, Rizzoli, Garzanti, and others. 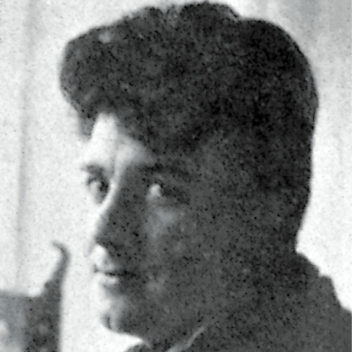 After World War II, he came to Murano to study glass techniques and met Paolo Venini. A productive relationship ensued as he began a collaboration with Venini in 1947 that lasted through the entire decade of the '50s. One of his most characteristic works is the long series of stylized figurines which Bianconi designed at the end of the '40s, taking his inspiration from the Italian Commedia dell'Arte. His pezzati vessels proved extraordinary due to their richness in color, as were the fazzoletti, presented in several different vitreous textures, which he created with Venini himself. He obtained widespread acclaim for the a Macchie and Fasce orrizontali series, in which Bianconi revealed a marked painterly vocation. In the '50s, he worked with other workshops such as the Vetreria Cenedese, designing vessels with applications and other pieces with cased decorations. 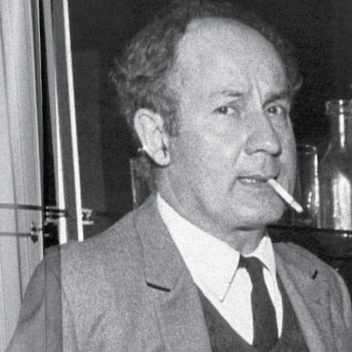 From 1958 to 1961, he designed glass pieces for I.V.R. Mazzega. In 1963, he designed for the Vetreria Vistosi. And in 1967, he began working again with Venini, creating vessels with unusual shapes such as the Informale (1968). After another contact with Venini in 1989, he designed for De Majo from 1991 to 1992. Born in Milan, the entrepreneur and designer Paolo Venini was a law school graduate. From 1921 until he died, he dedicated himself to the workshop he founded, the Vetri Soffiati Muranesi Venini & C. (through 1925, Vetri Soffiati Muranesi Cappellin Venini & C.). A man of marked entrepreneurial talent, his goal from the very beginning was to expand his company's influence abroad and he sought the collaboration of the most talented artists and architects of his time, employing them as artistic directors of his company. He always worked at the side of his designers with the goal of anticipating and directing taste. He personally checked every collection produced by his furnace. And his confident aesthetic choices, along with the fine quality of the products, assured his workshop both critical and commercial success. He dedicated himself personally to design from the '30s: his Diamante glass pieces date from 1936, and he created the murrine romane in collaboration with Carlo Scarpa. Following the war, he created bottles with brightly colored stripes, vessels in mosaico zanfirico and mosaico tessuto, glass mosaic windows, and engraved vessels. In collaboration with Bianconi, he created vessels such as the fazzoletti, which are a classic example of the production of the '50s, and were enormously successful. In 1932, when both Martinuzzi and Zecchin left the company, Paolo Venini changed the name from Vetri Soffiati Muranesi Venini & Co. (V.S.M. Venini & Co.) to Venini & C.. Milanese architect Tommaso Buzzi became the new artistic director. After 1934, artistic direction was taken on by Carlo Scarpa, who designed most of the company's production through 1947. Side by side with Venini, who often intervened personally in design, Scarpa created numerous collections of objects characterized by refined colors. After World War II, Venini & C. sought numerous collaborations with artists such as architect Giò Ponti and the Swedish-born Tyra Lundgren. After 1948, Fulvio Bianconi, Massimo Vignelli, and Tobia Scarpa contributed significantly to the new direction of the company. 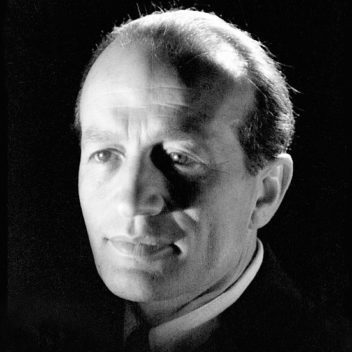 Paolo Venini died in 1959 and his son-in-law, Ludovico Diaz de Santillana, took over the management of Venini & C. He not only worked personally as a glass designer but also continued the collaboration started by Paolo Venini with various artists and designers. Starting in 1960, many other designers collaborated with the company, like Thomas Stearns, Toni Zuccheri, Tapio Wirkkala, Laura and Alessandro Diaz de Santillana, James Carpenter, Dan Dailey, Richard Marquis, Benjamin Moore, and Toots Zynsky. In 1986, the de Santillana family left the company, selling their stock to the Ferruzzi group, which guaranteed the fine quality Venini was known for by hiring new designers such as Timo Sarpaneva, Marco Zanini, Ettore Sottsass Jr., Alessandro Mendini, Mario Bellini, Barbara del Vicario, and others. In 1988, Venini was acquired by Royal Scandinavian. Since 2001, Venini S.p.A. has been part of Italian Luxury Industries Group and is led by Giancarlo Chimento, Giuliano Tabacchi, and Giorgio Rizzo. Three fazzoletti (handkerchiefs) vases. 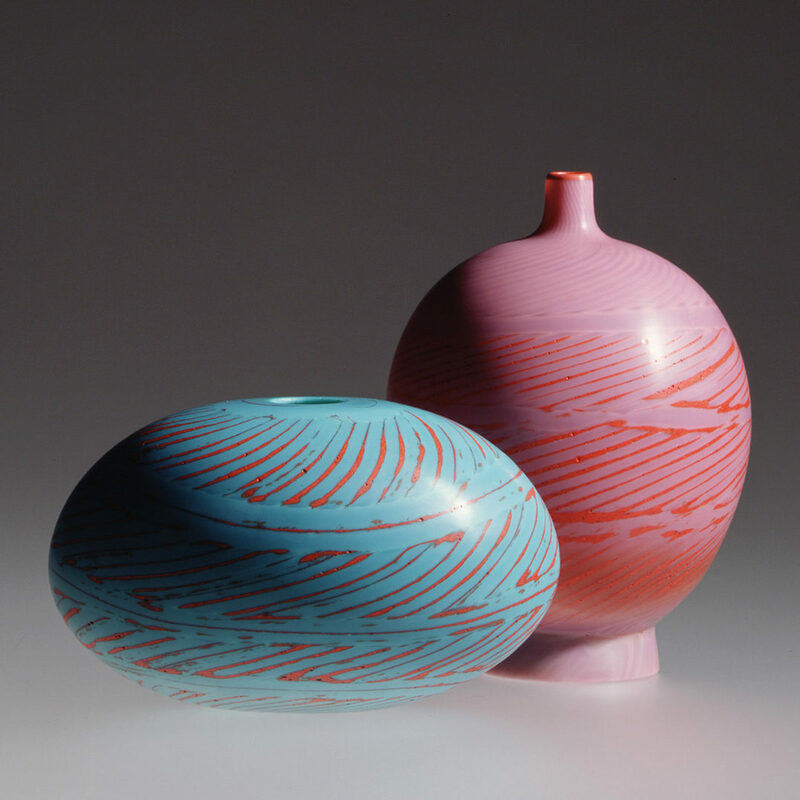 The one on the left is composed of lattimo glass incamiciatoin red glass; the one in the center is turquoise opaline glass; the one on the right is iridescent green glass. venini murano ITALIA, venini murano (circular signature), and venini murano ITALIA. Two vessels from thePolveri series. The one on the right is composed of turquoise and ruby glass canes and red polveri(dust), the other is salmon with red glass canes and pink polveri. 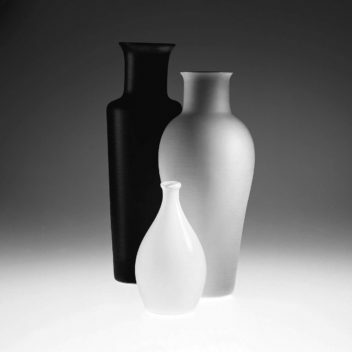 The surface of both vases is finished with a fine velato executed at the wheel in the moleria. Engraved: Yoichi Ohira m. L. Serena 1/1 unico 4.11.1997 Murano. Engraved: Yoichi Ohira m. L. Serena 1/1 unico 29.10.1997 Murano. Yoichi Ohira was born in Japan and moved to Italy in 1973. After working as an apprentice at the Kagami Crystal Company in Tokyo, Ohira graduated in Sculpture from the Accademia di Belle Arti di Venezia with a dissertaion on the aesthetics of glass. In 1973, he began working with Egidio Costantini's Fucina degli Angeli and participated in numerous collective and personal exhibitions, presenting sculptures made with the combination of plated metal and glass. In 1987, he started a collaboration as a designer with the Vetreria de Majo in Murano. That same year, Ohira was awarded the Premio Selezione at the Premio Murano. He began working as an independent artist in the early '90s, creating magnificent one-of-a-kind pieces, which he made in collaboration with the skillful maestro glassblower Livio Serena from Murano. He has participated in the most important international exhibitions and his works are greatly appreciated by private collectors as well as many public museums. 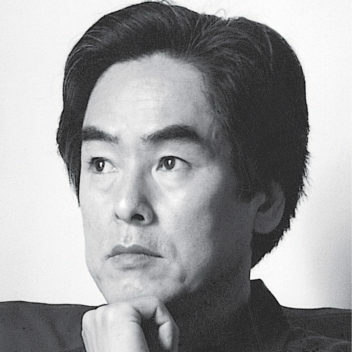 Yoichi Ohira's work is, today, part of the permanent collections of museums such as the Victoria and Albert Museum of London, the Musée des Arts Décoratifs in Paris, the Metropolitan Museum of Art in New York, the Koganezaki Glass Museum in Shizoka, Japan, and many others. 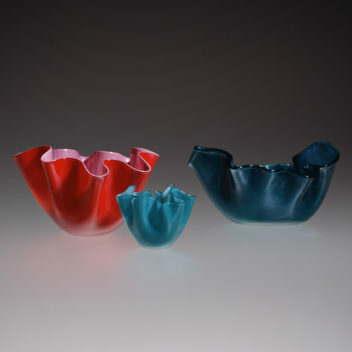 A vessel composed of transparent turquoise glass and opaque red pasta vitrea. Engraved: Yoichi Ohira m. L. Serena 1/1 unico 20/11/1997 Murano.